Redshirt-Senior Wes Weeks’ go-ahead two-run single was the difference maker in the 9-8 win over FAU. Junior Austin Hurwitz lined a single to right to score one as the Ospreys grabbed an early 1-0 lead in the bottom of the second. In the top of the third, Junior Eric Rivera sent a ball over the fence in left-center for a solo home run to tie the game at one. Junior Blake Marabell drove a double to left in the bottom of the fourth to plate a runner for the 2-1 Ospreys lead. 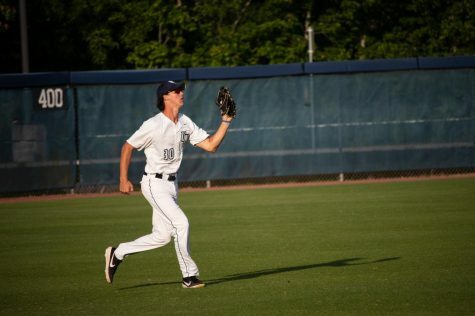 Hurwitz plated a run as he reached on a fielding error by the first baseman. 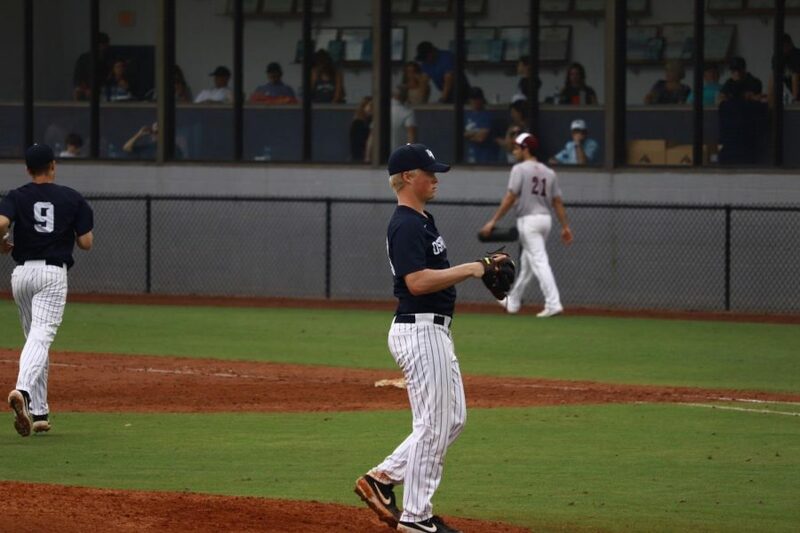 Junior Tanner May tacked on another run as he beat out an infield single to score a runner. Junior David Maberry drove in two on an RBI single to extend the lead to 6-1. 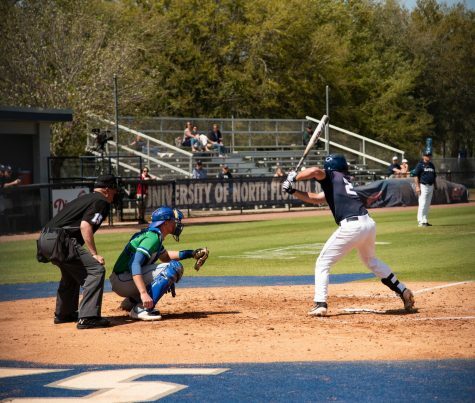 In the top of the seventh, UNF Freshman Will Ohme hit Senior Joe Montes with a pitch with the bases loaded to score a runner, cutting the Owls deficit to 6-2. Junior Wilfredo Alvarez walked with the bases loaded to add another run as they trailed, 6-3. 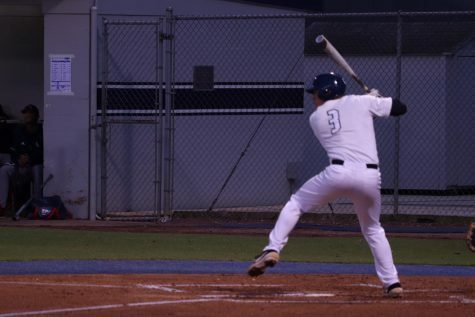 Junior Francisco Urbaez reached on an infield single to score another run for the Owls fourth run of the game and Sophomore Jared Desantolo lined a single to right to score two and tie the game at six. Senior Diamond Johnson broke the tie with an RBI single to center as the Owls were up, 7-6. Hurwitz walked with the bases loaded in the bottom of the eighth to tie the game at seven. Redshirt-Senior Wes Weeks stepped up to the plate drove in two on an RBI single to center as the Ospreys grabbed a 9-7 lead. 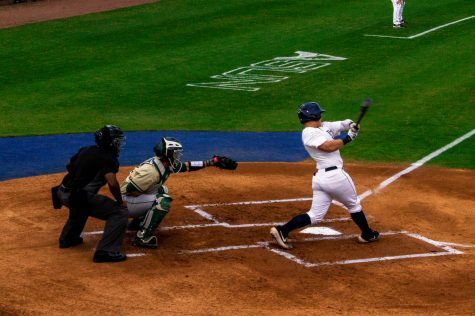 Weeks talked to Spinnaker on the two-run single and the team’s performance. “I tried to keep believing in myself, it was a tough day for me. The Ospreys got the win and that’s all that really matters,” Weeks said. 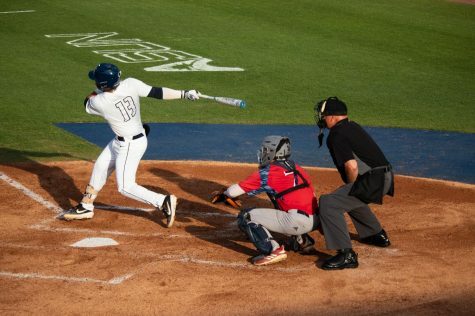 Urbaez launched a solo home run off the left field video board in the top of the ninth as the Owls trailed, 9-8. Redshirt-Junior Eddie Miller stepped in for Senior Trace Norkus and finished the game with his third save of the season. 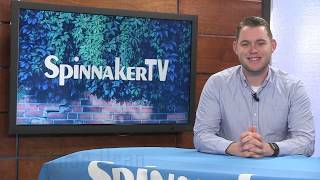 UNF Manager Tim Parenton talked to Spinnaker about the team’s 9-8 win over FAU. “I thought we played well early. In the middle, I thought we got complacent and thought the game was over and they made a run, that’s what good teams do. 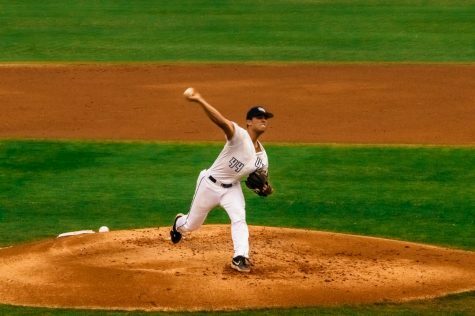 Our guys found a way to compose themselves and we kept putting runners on base giving ourselves a chance,” Parenton said. 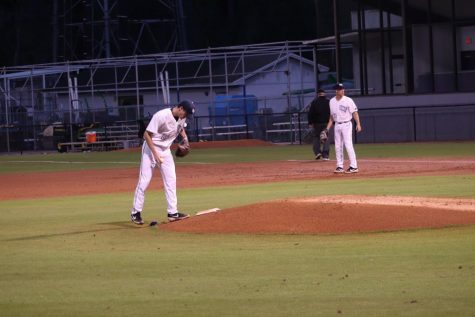 Five pitchers appeared for the Ospreys, Redshirt-Junior Hunter Bowling pitched the longest with three innings of work, allowing three hits, one earned run, and struck out four. Freshman Will Ohme and Senior Trace Norkus had rocky outings in relief, allowing a combined seven earned runs. 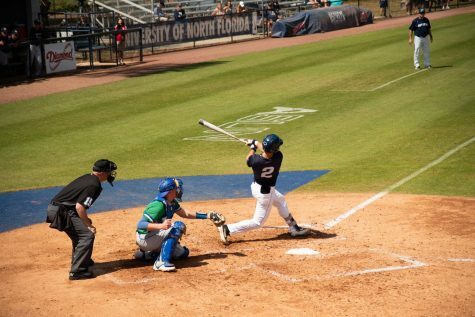 The Ospreys improve to 7-3 and head to Pensacola for the Cox Diamond Invitational where they’ll start off by playing Western Kentucky on Friday, March 1 at 7 p.m.